Creative Industries Fund NL is calling on designers to submit a proposal for participation in the 16th edition of the Venice Architecture Biennale, which is being held from 26 May to 25 November 2018. Researchers and designers in the field of architecture are invited to submit proposals for the development of initiatives and projects that make a meaningful contribution to one of the main venues, such as the Arsenale or the country pavilions in the Giardini. Deadline is Wednesday 8 November 2017. With the title FREESPACE, general curators of the 16th Venice Architecture Biennale, Yvonne Farrell and Shelley McNamara, address the relation between architecture and society. To read the press release about the FREESPACE theme, click here. projects that focus on the sharing of knowledge, such as a publication, event or symposium. 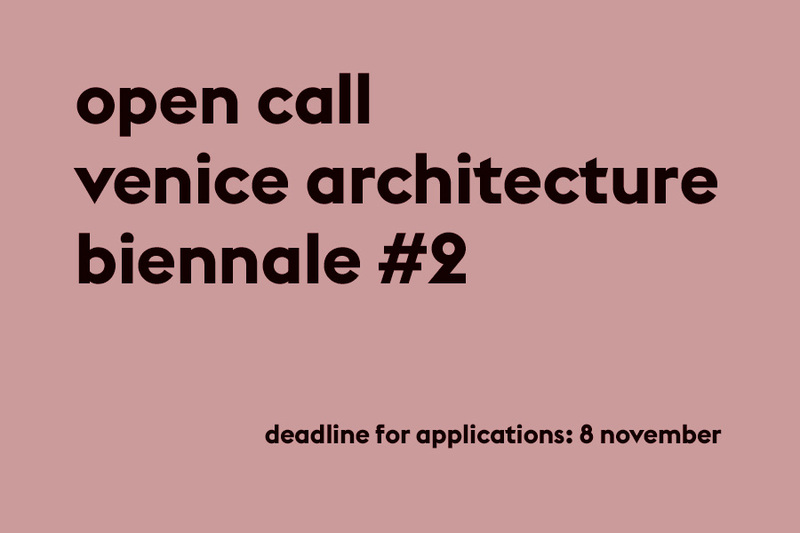 funding for the presentation of projects during the Venice Architecture Biennale can be applied for by way of the Open Call Venice Architecture Biennale #3, to be published in February 2018.
projects that receive a grant under the Open Calls Venice Architecture Biennale #1 and or #2 are not eligible for a grant for presentation costs by way of Open Call #3. Proposals must be submitted via the Fund's online application environment by the deadline of Wednesday, 8 November 2017. In the pull-down menus select the 'Open Call' option, then the 17AF round: 'Venice Architecture Biennale #2 _Development Budget'. N.B. Request your log-in for the online application environment in good time and familiarize yourself with the application form. Validation of a new user account can take up to one workday. The project proposal is a PDF document in A4 format, a maximum of 10 pages (appendices excluded) and no larger than 10 MB. If a submission fails to meet the requirements outlined above, then it will not be eligible for evaluation. A maximum budget of €50,000 is available for this Open Call. Creative Industries Fund NL expects to support a minimum of two projects with a maximum grant of €25,000 per project. for this Open Call there is no opportunity to submit a draft proposal to the Fund for feedback. 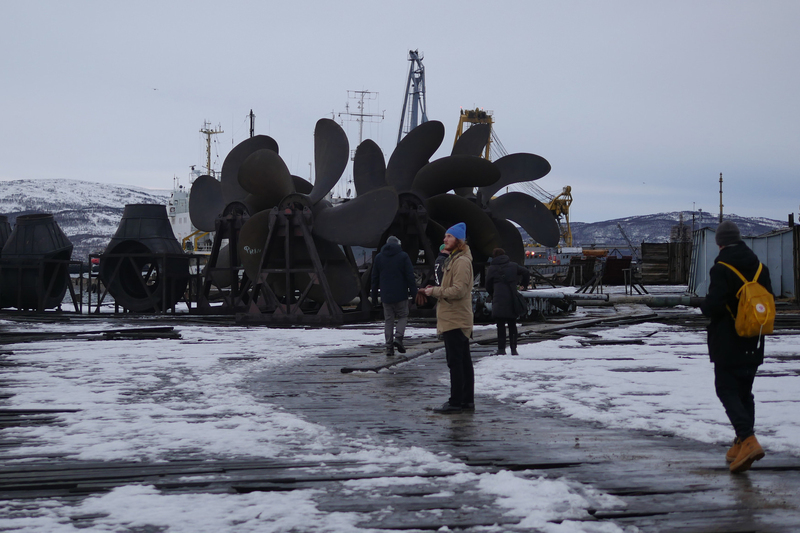 The Open Call's procedural and legal basis is set out in Creative Industries Fund NL's Subsidy Regulations and Grant Programme for Architecture. Gabriella Fiorentini, Grant Programme for Architecture, [email protected], or 010-4361600. The application for the first phase can be submitted via the Creative Industries Fund NL's online application environment by Wednesday, 22 May 2019 at the latest. Select 'Open Call: Fresh Perspectives' from the drop-down menus. A concise overview of the project's budgeted costs and the planning. 3. CVs of the parties involved (max. 4 pages). If the application fails to satisfy the description above, it will not be possible to evaluate the substance of the application. You will receive an acknowledgement of receipt by e-mail within a week of the closing date. the consistency in purpose, set-up and expertise involved. The evaluation takes the form of a tender. This means that a number of proposals will be prioritized over other submissions, with the rejected proposals not receiving any individual clarification from the Fund. The Fund will contact the selected parties. The selected proposals will receive a grant from a supplementary budget being provided by the Ministry of Education, Culture and Science (OC&W) for talent development in the creative industries. With this budget, the Ministry wishes to support talent that operates outside the boundaries of the discipline. The selection will be announced by 1 July 2019 at the latest, by e-mail and on the Fund's website. From that moment, the project can begin. After a period of up to five months, you will submit your detailed project plan, planning of activities, budget and a signed collaboration agreement between the two parties for the follow-up trajectory in the second phase. For questions about the Open Call and the procedure, please contact Hugo van de Poel, [email protected] or 010 436 1600. This Open Call has its legal framework in the Creative Industries Fund NL's Subsidy Regulations. The application can be submitted until Wednesday 8 May 2019 at the latest via the Creative Industries Fund NL's online application environment. Select 'Grant Programme/Open Call' and then 'Space for Talent'. a plan for presentation or knowledge-sharing for third parties. 2. A declaration of intent from the partner that provides insight into the relationship between the partner and the maker and the added value of the project for the partner. It also describes the duration and nature of the working period, the facilities, knowledge and working environment that the partner offers, the manner of collaboration and the intended result. 3.	budget + planning: an overview of the partner's budgeted costs up to a maximum sum of € 10,000; an overview of the maker/designer's budgeted costs up to a maximum sum of € 15,000; the planning of activities, including estimated hours involved. 6.	an extract from the Dutch Chamber of Commerce (KvK) register (dated within the last year). 3.	the expectation of the extent to which the project will lead to an inspiring example. Proposals will be evaluated with particular regard to the purpose of the project, its set-up, the expertise involved, the way knowledge is shared and consistency between these components. Designers who at the time of application are receiving support from the Grant Programme for Talent Development cannot apply within the context of this Open Call. Institutions that are receiving subsidy under the Grant Programme for Multi-year Programmes may be eligible for support under this Open Call, provided it concerns a new research/residency place that is not in any way part of the already-supported activities programme. Finally, an organization can be supported a maximum of two times under this grant programme. A maker may receive only one grant within the provisions of this Open Call. 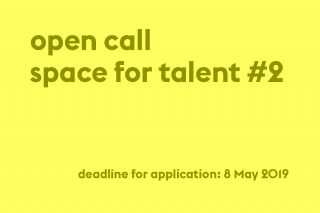 The Creative Industries Fund NL is making a maximum of € 150,000 available for this Open Call. The maximum contribution per application is € 25,000, of which a maximum of € 10,000 is for the partner. The subsidy is intended for activities in the Netherlands that contribute to the artistic and/or professional development of designers and makers from the creative industry. The selected proposals will receive a grant from a supplementary budget made available by the Ministry of Education, Culture and Science for talent development and workplaces in the creative industry. The selection will be announced by e-mail and on the Fund's website at half of July. The closing date for the next round is on Wednesday 11 September 2019. If you have any questions about the Open Call and the procedure, please contact Marieke Ladru per e-mail at [email protected] or by telephone at 010-436 1600.